“It will be our endeavour to seek on a regular basis the guidance of spiritual leaders of all denominations on major challenges and issues facing the nation. For this, we shall evolve a suitable consultative mechanism,” Advani said in a letter to religious leaders on Saturday. The letter said to be send to more than 1000 spiritual leaders across the country, says it had been the lifelong ambition of Advani that “politics, governance and other national affairs should be guided by lofty ideals as enshrined in the concept of Ram Rajya (ideal state), popularised by Mahatma Gandhi.”“At the present crucial juncture in our nation’s life, when people are looking for a decisive change, I seek your blessings, guidance and support with ‘Sashtang Namaskar’ (utmost reverance),” says the letter. When contacted Advani’s office said the copies of the letter have been send to Baba Ramdev, Shri Shri Ravi Shanker, Maulana Waihuddin and several archbishops of different churches. “As Dharam Guru, your good self has always worked for peace, harmony,unity, well-being and brotherhood without boundaries in society. 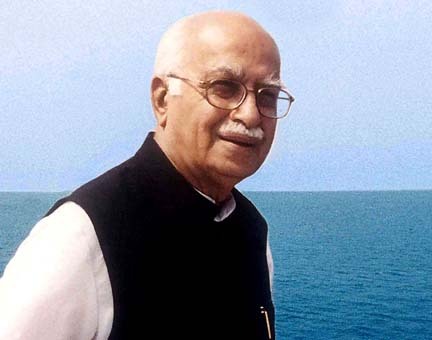 These are the values that I believe in,” Advani said in the letter. “I am writing this to seek your blessings as the Bharatiya Janata Party and the NDA gear up for elections to the 15th Lok Sabha…I am sure that you will give the right guidance in the present circumstances,” the letter says. The senior BJP leader, who was the face of the Ayodhya movement in the 90s, enlisted a 12-point “specific assurances relevant to religious establishments” in the letter. Other than evolving a “consultative mechanism” with religious leaders, the assurances include a national mission for beautification and development of all major pilgrimage centres of all faith-communities and ending the “government neglect” of the multi-faith spiritual heritage of India. “Cleaning up of the Ganga and other rivers will be a matter of high priority, Ram Sethu will be protected, protection of cow and her progeny will be our solemn commitment..spiritual tourism will be promoted in a big way,” the letter says. All social welfare and nation-building activities of religious institutions will be duly supported and NDA, if elected to power, will create a special cell to facilitate the works of all religious institutions, he said in the letter. “All foreign funds will be regulated as per government norms to ensure that they are used solely for the purpose for which they are received. Religious conversions using fraudulent and unethical means will be outlawed,” Advani assured the religious leaders in the letter. He further promised that controversies like the one over allotment of land to the Amarnath Shrine Board in Jammu and Kashmir last year will not be repeated and if elected the government under him will take steps to promote India’s spiritual heritage worldwide. The assurances reflect the demands raised by Vishwa Hindu Parishad through its platform Dharm Raksha Manch on several occasions. The Model Code of Conduct [I(3)] of the Election Commission of India states: “There shall be no appeal to caste or communal feelings for securing votes”. Yet the BJP’s PM Candidate has chosen to write to more than 1,000 Hindu sadhus and sants ( from list supplied by Vishwa Hindu Parishad). Thanks to his” neglect of his constitutional duty” during the 2002 Gujarat carnage, NDA was routed at the hustings in the general elections of 2004! Ever since then every scheme of him has boomeanged.From day one , he has been taunting at thePM as te “weakest PM”, “Nikkamma” and on who has surrendered his authority to the party head!”PM held his peace, but when Advani showed no sign of giving it up, He lashed out at Advani and challenged him!Thus, driven from pillar t post, he hgas devised this last astra of Hindutva.It is feared this too would prove counter productive! The reaction of the Election commission only could solve the vexed issue. Lastly, Advani is committing a big harakiri by letting Hindu Ayatullahs dominating the government! thus, pakistan will be under the contro of Talibans and India under sadhus and sants!